Spring Creek Campground and Trout Ranch is located on the beautiful Boulder River south of Big Timber not far from Yellowstone Park. Our river sites are quiet, shady and grassy. The Boulder River Valley is the only access to the Beartooth Wilderness, and we are 20 miles from the amazing Natural Bridge Waterfall. 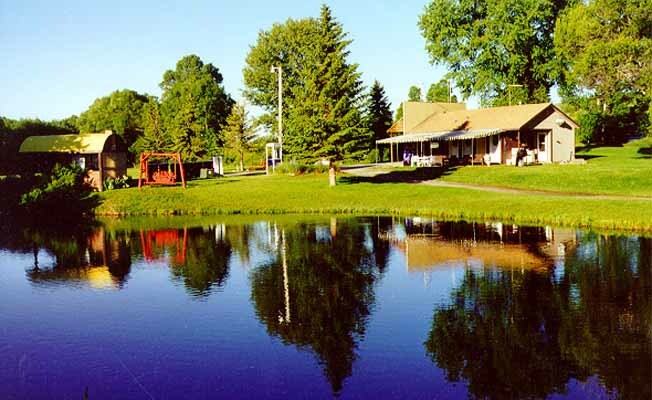 4 cabins, RV sites with full hookups (30 & 50 amp) and tent sites are available. Fish for rainbow trout from our ponds or fish in the river. Store, snacks, picnic pavilion, laundry, playground, and dump station are available on site. Birds and wildlife are plentiful. Free Wi-Fi.